The Boston Celtics have won 53 wins or more in back to back seasons. Without Gordon Hayward, the Celtics managed to win 55 games and placed second in Eastern Conference. Even after losing Kyrie Irving, the C’s fought all the way to the Eastern Conference Finals. Coming into this season, the Celtics are favored to rule the Eastern Conference again. With a short rebuild, it has been amazing to see what general manager Danny Ainge and head coach Brad Stevens have been able to do with the Boston Celtics. They have gone from a 25-57 team in 2013 to a team that has averaged 52 wins over the last three seasons. Even with the devastating blow that was losing Gordon Hayward in the opening game of the season, the Celtics managed to win 55 games and placed second in Eastern Conference. Then came the loss of Kyrie Irving for the playoff run. Still, the C’s fought all the way to the Eastern Conference Finals. Who is to say without those two guys, they would have taken LeBron James and the Cleveland Cavaliers and Steph Curry and the Golden State Warriors for the NBA crown. The emergence of first round picks Jaylen Brown and Jayson Tatum was an extra shot to the arm for the Celtics. Combine Brown and Tatum with Irving, Hayward, Al Horford and Marcus Morris and you have one of the best starting rotations and sixth men in all of the league. 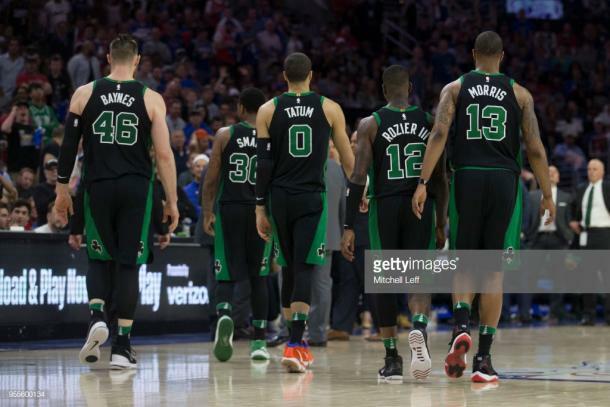 Heading into the 2018-2019 season, the Bostic Celtics are highly favored to represent the Eastern Conference in the NBA Finals. 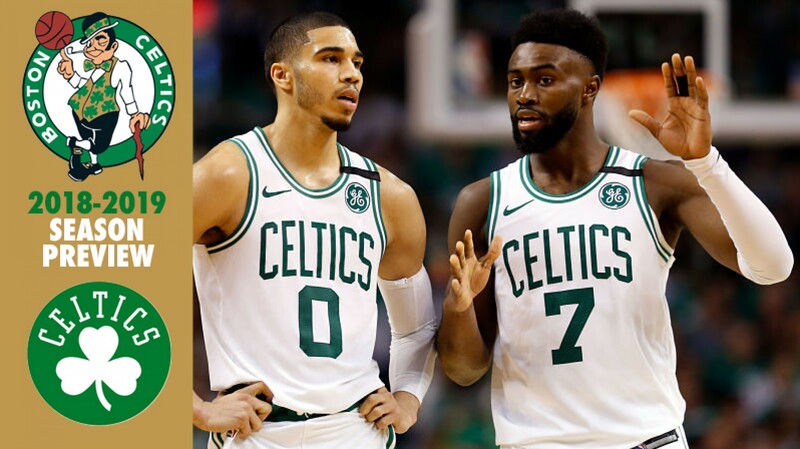 Here is a preview of the 2018-2019 Boston Celtics. Back in 2013, the Boston Celtics traded away Paul Pierce, Kevin Garnett, Jayson Terry and D.J. White to the Brooklyn Nets for Gerald Wallace, Kris Humphries, Keith Bogans, Marshon Brooks, Kris Joseph, a 2014 first-round pick, a 2016 first-round pick, the option to swap 2017 first-round picks, and a 2018 first-round pick. That pick was later sent to the Cleveland Cavaliers in the Kyrie Irving trade. The Cleveland Cavaliers would use that pick on point guard Collin Sexton. After trading their second-round pick to the Oklahoma City Thunder, the Celtics were left with one pick in the draft. They used it on power forward Robert Williams III out of Texas A&M. Williams averaged 11.1 points, 8.7 rebounds and 2.5 blocks for his two-year career at College Station. Williams was played great for his size and stature, his huge wingspan allowed him to block shots and play bigger than his 6'9 height would indicate. At 240 pounds, his frame prevented him from being bullied around the rim. It was unfortunate that fans did not get a good glimpse of him at the summer league. Williams only played in one game, scoring four points and accumulating two rebounds. It was later revealed that Williams suffered a left knee contusion and he should be ready for training camp. Before free agency started Kadeem Allen, Greg Monroe, Shane Larkin and Rodney Purvis were waived and allowed to sign as unrestricted free agents. 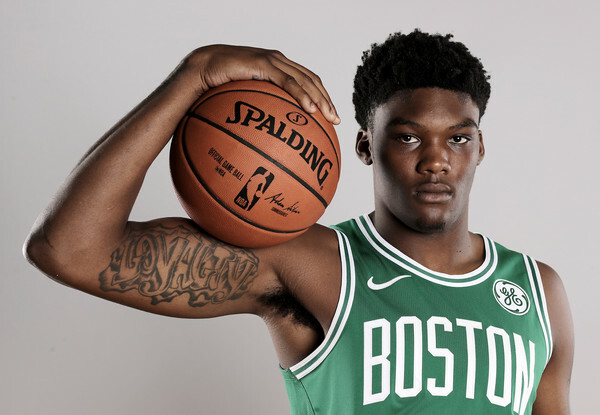 On June 29, 2018, the Celtics tendered a qualifying offer to make Smart a restricted free agent. During the offseason, the saga with Marcus Smart was what everyone was keeping their eye on. When free agency first opened, Smart reportedly had a handful of suitors that would bring him in. Brad Wanamaker and Aron Baynes signed with the Celtics before Smart was. Finally, on July 19, the Celtics reached a four-year, $52 million contract agreement with Boston. Jabari Bird, Walton Lemon Jr. and P.J. Dozier rounded out the remainder of Celtics free agency. With three potential All-Team selections on the team, the Eastern Conference crown will be Boston's for the taking. The Celtics will definitely be one of the best teams in the NBA this season. They will have one of the best starting lineups in the NBA with good bench depth that could carry them deep into the playoffs. As the season progresses, they will be battling it out with out with the Philadelphia 76ers, a retooled Toronto Raptors, Indiana Pacers and Milwaukee Bucks for the Eastern Conference title. Jaylen Brown responded very well for the Celtics in his second season in the NBA. How will he handle his third season in the NBA? How will Jayson Tatum follow up his stellar rookie year? Even if these guys struggle early, there is enough fire power on this team to win a lot of games. Will Gordan Hayward be able to slow down Giannis Antetokounmpo, Kawhi Leonard, Ben Simmons or any of the bigger wing players in the league? This may be the only weakness the Celtics currently possess. If they do reach the NBA Finals, Kevin Durant or LeBron James could be lurking in the Western Conference. Again, with so many weapons the Celtics could be a matchup nightmare for anyone else. Still, there are definitely players they could go out an add. Will a Finals appearance be enough to keep Kyrie Irving in the fold? With rumors surrounding Irving and Jimmy Butler teaming up next year in New York next season, the Celtics will have to do everything in their power to keep their starting point guard. The the Westgate Las Vegas SuperBook has Boston's over-and-under of wins at 57.5 wins.